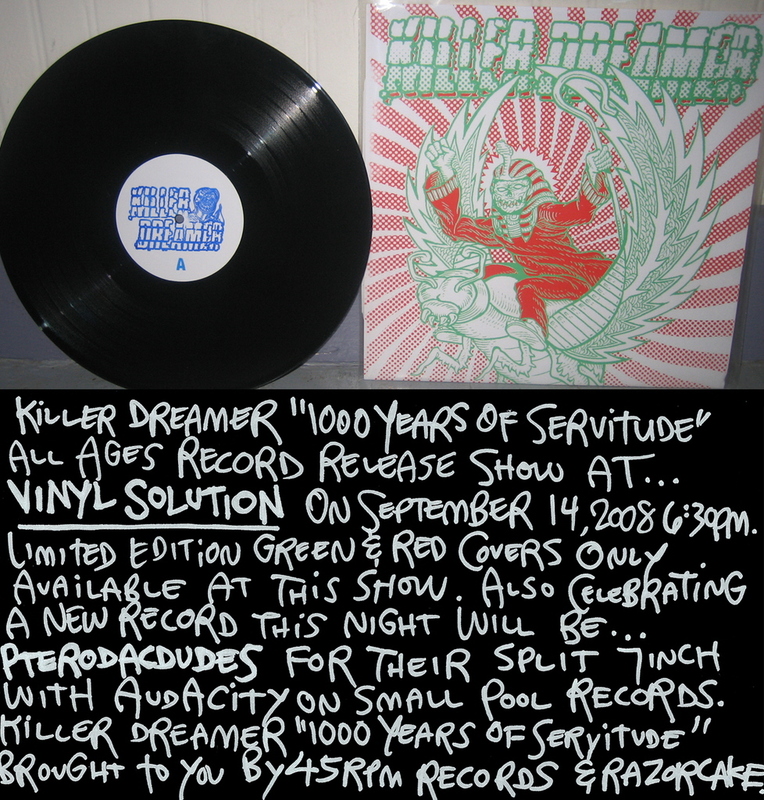 For those of you into good underground punk music check out San Pedro Based band “KIller Dreamer” this Sunday September 14, 2008 for their “1000 Years of Servitude” record release party. 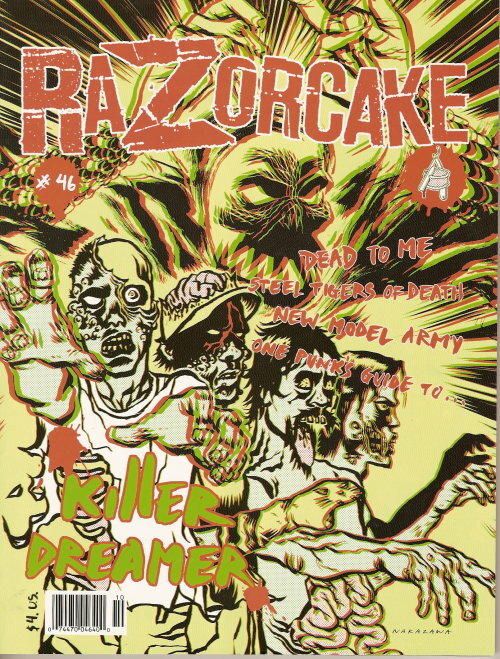 Also check out the new copy of Razorcake, a non-profit magazine dedicated to supporting independent music culture. This release is not rocking out in LA (which it should of been ) ha! but if you around the area peep it out. This entry was posted in Events, Musica by Doña Junta. Bookmark the permalink. I am a street artist, soldadera and old soul. a swapmeet cult following that lives in all our hearts. I capture the grit and grime of the city and share it with the world. I Loooove Razorcake! Thanks for the info! Killer Dreamer are the cream of the crop of Pedro! They are 100% awesome.